World Superbike fans are likely to enjoy more autographs from wildcard riders than hot dinners in the new Donington Park restaurant this weekend, with a huge turnout of additional participants making for a super line-up at Round 6 of the season. Wildcards, who don’t race the full season but make one-off cameos, were traditionally always a highlight of the World Superbike Championship. A bit like the red squirrel in Britain, wildcard sightings have decreased significantly in recent years, with increased costs and more varied technical regulations in national championships being a couple of reasons. One must look to 2003 to the last time a wildcard won a World Superbike race: Shakey Byrne did the double at Brands Hatch. The level of additions to the Donington grid has surprised even the most experienced journalists around the Media Centre. ‘The guy with the glasses’ Bradley Ray, as MCN’s Oli Rushby describes him, amazed the British Superbike clan when he won both races at the Donington season-opener this year. His Hawk Racing-run Buildbase Suzuki GSX-R1000 now comes to World Supers. Ray, who sits second in BSB and celebrated his 21st birthday last week, will run a BSB-spec bike with less advanced electronics. Former World Supersport race winner Gino Rea will also make his WSB debut on a BSB Suzuki, with the OMG Racing UK squad which joined BSB this year. Not only is the team living the dream and aiming for World Championship points but can use this outing to garner data before BSB resumes at Snetterton in three weeks’ time. We should point out that Bradley’s ‘Ray’ is pronounced the same as Jonathan’s ‘Rea’. Half-Italian Gino’s surname Rea is pronounced ‘rear’ as in singer Chris Rea. Are you confused? You’re not the only one. Like Gino Rea, Mason Law will target his first World Championship points as the 22-year-old from Southend races the WD40 Kawasaki. Niccolò Canepa, on the other hand, has 75 WSB starts to his name. The Italian tester and endurance racer returns on a third Yamaha alongside Lowes and van der Mark, entered under the Yamaha Motor Europe banner. 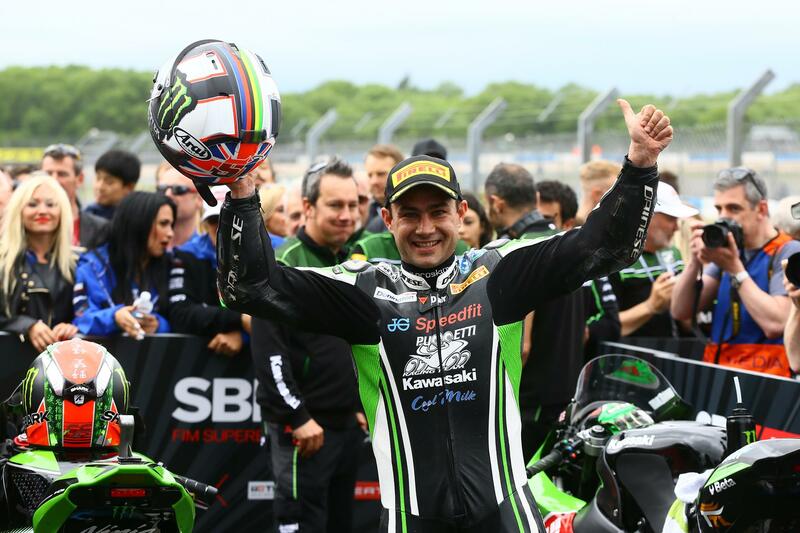 Leon Haslam is back with Puccetti Kawasaki; not only is Donington the home circuit of the ‘Pocket Rocket’ but he leads the BSB championship and finished second here as a WSB wildcard last season. Just as things had settled, Haslam’s BSB team-mate Luke Mossey tweeted on Wednesday that he too is joining the grid, with Lucio Pedercini’s team. ‘Skywalker’ did a Brands Hatch BSB double in 2017 and now subs for Yonny Hernandez, the Colombian unable to travel due to VISA issues. There’s more! Ryan Vickers joins PTR to cover for Moto2-bound Niki Tuuli. Vickers, 19 from Bury St Edmunds, could surprise as he brings Superstock 600 experience from Britain into World Supersport. In Supersport 300, Silverstone-born brothers Luke and Kade Verwey have already raced at Donington this year in British Junior Supersport. The same goes for Ed Best, who also races in British Motostar. Frenchman Andy Verdoia also makes his Supersport 300 debut at Donington. The only addition to the Superstock 1000 grid is Markus Karlsson, a Swedish rider whose superbike experience includes a stint racing in The Netherlands.